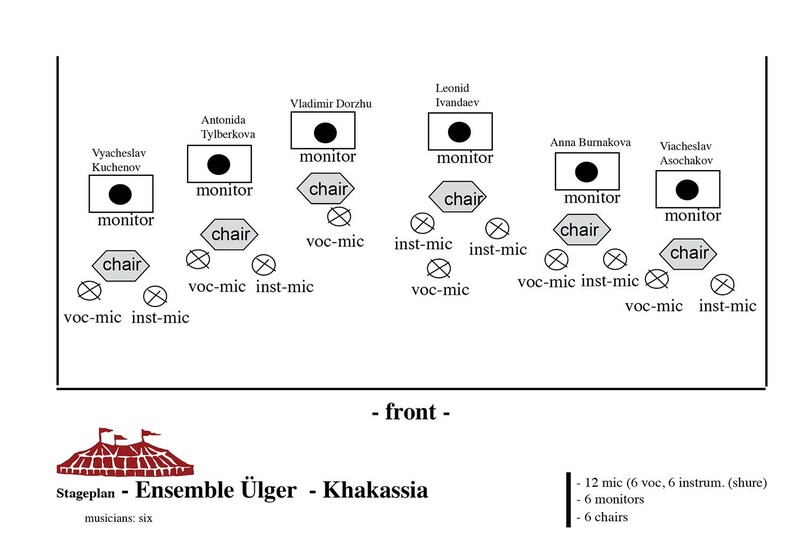 The ensemble Ülger from Abakan in the Republic of Khakassia was founded in 1989. They have committed themselves to revive and keep alive their tradition in music as well as dance. Ülger means “Pleiades”, the winter stars that rise in early autumn and announce the long, dark, cold season. Legend has it that Ülger rides through the sky on a two-headed horse, scattering extreme cold and snowfall on earth. People believed the Pleiades to be the place of residence of powerful heavenly beings who decided upon a human being’s fate. The Pleiades: The Mushin plays an important role in the Buryat-Mongolian cosmology. Already in earliest times, people believed that the Tenger (powerful heavenly creatures) of the western direction meet at the Pleiades in order to discuss how to help mankind in fighting death and diseases. 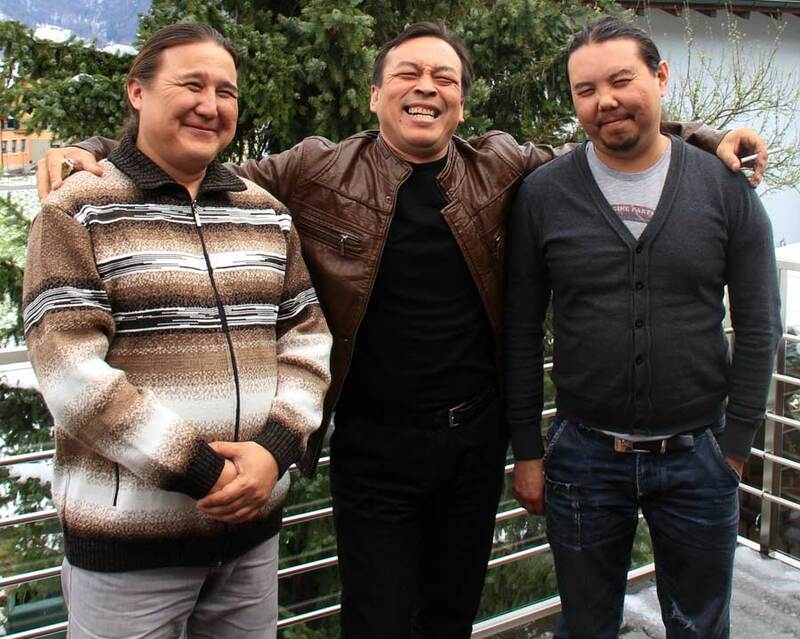 In this gathering, they created the Eagle, the first shaman. The Pleiades - Mushins also plays an important role in the epic Geser and the creator Ülgen of the Altai population. The Khakas people have been known for their rich storytelling traditions, both in epics with throat singing as well as prose, just like their neighbouring Turkic tribes. Songs and stories are often performed in accompaniment of the lute or the box zither. Besides storytelling, they had a wide range of songs for ceremonies, rituals, which lead the people through their life from birth to death, as well as songs for the various seasons. The Khakas also have a limited repertory of pure instrumental pieces and various ceremonial dances. In the evenings or during the long winter nights men as well as women used to gather and entertain therewith. They have attempted to copy the sounds of nature as well as those created when people are working. Hunters and breeders used animal sounds to call or attract their flocks. The oral transmission of their traditions was lost due to forced Russification and the modernization of folklore. Seasonal rituals, clan meetings and shaman sessions were prohibited or firmly discouraged, such as ritual performances at holy sites. Life cycle events like weddings, birth or death, ceremonies for infants and small children, death watches or prayers before the hunt have been lost. When Soviet politics loosened in the mid-1980s, most traditional practices had become rare or had disappeared altogether, especially ritual ceremonies, and epic performances of tribal history having historic importance have become neglected. The non-ceremonial music had turned into folkloristic stage music. Now young musicians seek to revive these traditions. They move away from the Soviet-based reconstructed “folk music” in search for the authentic patterns of their ancestors. They have started to collect repertoire from the few remaining traditional performers in the villages still alive and from archived audio recordings and music manuscripts. They try to revive the past when village elders are visiting, and they further search the scarce historical ethnographic sources of their ancestors. The ensemble wants their repertory to play an important role in the process of revival. In their repertoire today there are included heroic epics with throat-singing and accompanied by the wooden box zither or lute, as well as old songs describing everyday life: at work, at the occasion of weddings, laments, ceremonial and prayer songs addressed at the heavenly owners of the sky, the mountains, the water, fire and other elements. Many songs were handed down with little or no text at all, which is why the ensemble rescues these old melodies from oblivion by creating instrumentals with them, or finding fitting traditional poetry to them. The aim is to conserve cultural traditions and values for a young generation, using the mother tongue. Since 2003 the ensemble has been performing under the artistic guidance and direction of Aycharkh Sayn  a gifted musician, virtuoso throat singer, multi-instrumentalist and storyteller. The ensemble has participated in festivals and competitions in Russia and abroad. They have performed in Belgium, the Netherlands, Norway, Poland, Switzerland, France, and the United Kingdom. 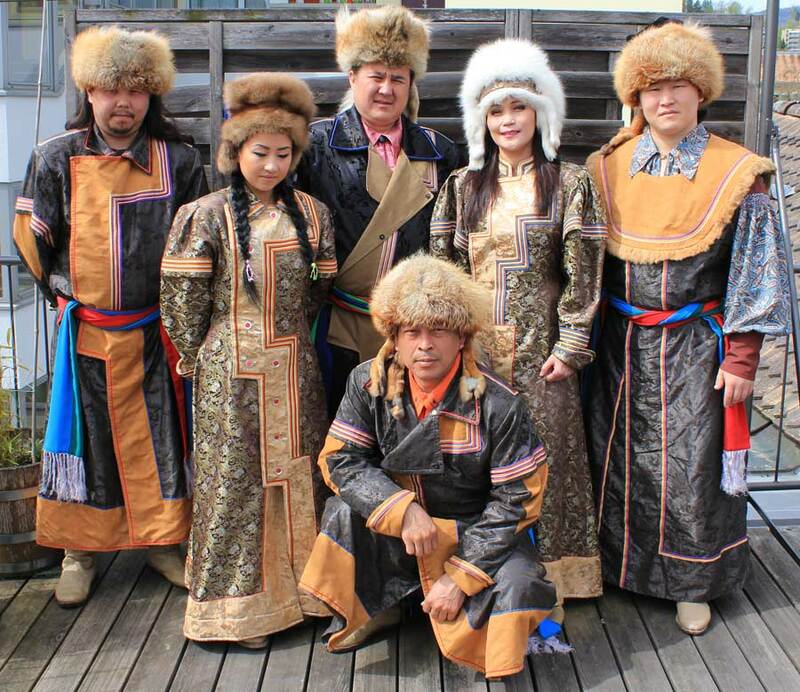 In 2005 Ensemble Ülger performed at the Sayan Ring Festival of Ethnic Music in Siberia, and since 2006 they have been touring the south of France several times, the last time being in 2011, when they performed at the Russian Art Festival in Cannes. In February 2012 they featured at the Russian Maslenitsa Festival in London. The Khakas people are a Turkic-speaking minority, who settled in a region of endless steppes and mountain taiga at the upper Yenisei and in the Minusink Basin, at the foot of the Sayan-Altai mountain range in southern Siberia. Their Turk-speaking neighbours are the Tuvans, Altaians and Shor people. In the 17th century A.D. a part of the tribes migrated to the Tien Shan, thereby forming today’s Kyrgyzstan. The migrated Kirghiz have left behind a rich culture as well as an old runic writing. In the Orkhon Inscriptions dating from the 8th century A.D., there are described the bloody wars and fights taking place in the 6th century against the tribes of the Göktürks, Xueyantuo and the Uighurs in the Han period. There are still songs from the time of this war for autonomy reminding and remembering these conflicts. Petroglyphs, tombs, ritual sites and deer stones tell of days and tribes long gone, which have all settled there from the 3rd century B.C. on, as has been proven by archaeological findings. Those who remained settled where they live today, in the plains and steppes west of the river Yenisei, upstream in the mountain taiga and in the valley of the Abakan and its tributaries. In 1707, after strong resistance, the land was annexed by the Russian Empire. Songs recalling episodes from this struggle for autonomy have been sung to this very day. In 1923 the country came under Soviet rule, until in 1992 it got the status of an autonomous republic within the Russian Federation. In today’s Khakassia, various ethnical groups settled between the 6th and the 13th century. 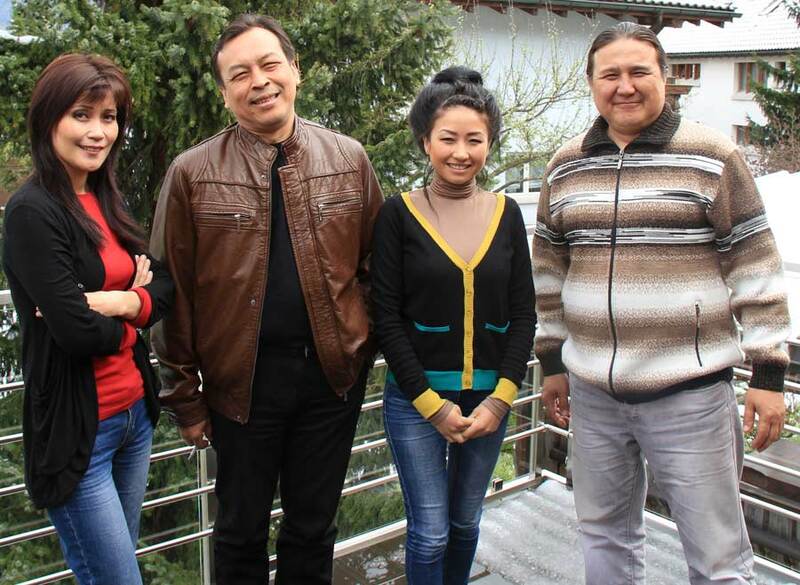 The Khakas tribes themselves were conglomerate of such mixed ethnic groups. In this area, there also settled Kets (the Khanty people) and the Nenets people (Samoyeds) belonging to the tribes of the Uralic group and speaking a Finno-Ugrian language. They formed tribal communities and for a long time were vassals of various Turk speaking confederations (Dzungars, Oirat Alliance), among those also the Khirgiz and a Manchu-Chinese Qing Dynasty. In the early Soviet period they were restructured as “Khakas”, but they call themselves “Tadar”, with people mainly adhering to their lineage (family name) and clan (söök). In the North of today’s Khakassia there live the Khyzyl people, in the central part the Khaas people. The steppe Khakas (Khaas and Khyzyl) traditionally were pastoralists who moved from winter to summer pastures and supplemented their diet with hunting and agriculture. In the south, there were the Taiga tribes, the Saghai, Khoibal, and Piltîr people, who were fishermen, hunters and gatherers, living on agriculture. Women held an important place in the Khakas society, which is reflected in many poems and stories of heroes (epics). Female warriors have been great heroes against external enemies. 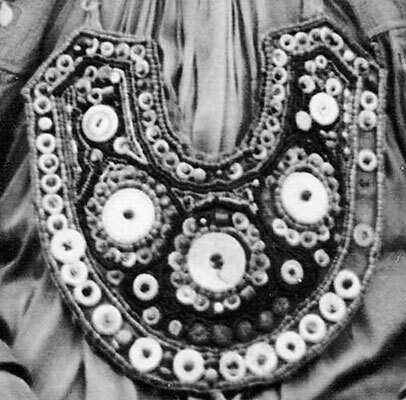 Women wear a "pogho", a female breast ornament made of cowry shells, with pearl buttons and colourful beads sewn to the leather or textile. The poghos build a bridge between generations and act at the same time as a spiritual protective shield that protects female fertility and thus secures offspring.